An island tradition continues in its 71st year . . . The Friends of the Library of Hawai‘i (FLH) is pleased to announce the 71st Annual Booksale, sponsored by Hawai‘i State Federal Credit Union (HSFCU), from June 16 - June 24, 2018 at the McKinley High School Cafeteria. At Hawai‘i’s largest used booksale, you can choose from over 150,000 books in every category imaginable! Since 1947, the FLH Annual Sale has invited Hawai‘i residents to browse selections of new and used, out-of-print and bestselling books and media. After 70 years, the sale is an island tradition and each summer thousands readers of all ages and backgrounds converge on the McKinley High School cafeteria for 11 days of bargains and a selection of titles to rival any bookstore. Encompassing much more than books, the booksale will feature a selection of CDs, DVDs, comics and manga, and many more hard-to-find items. A popular section of the sale is the eclectic selection of donated ART. There is modern art, prints from local artists, lithographs, and sculpture. A catalogue of FLH’s rare and collectible books will be open for inspection at the sale. 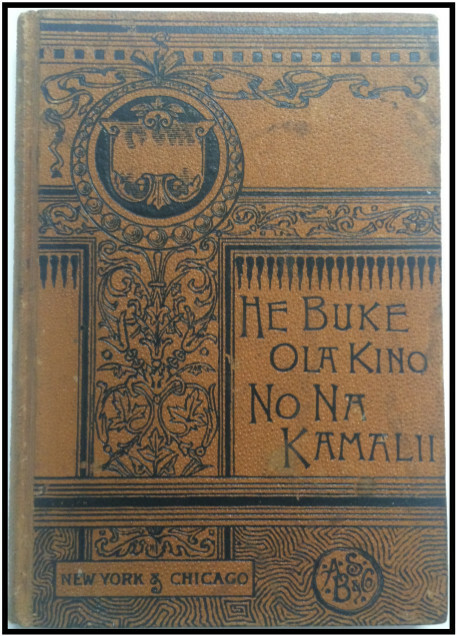 All books in the catalogue are available for purchase, including rare Hawaiiana titles. On opening weekend, Saturday and Sunday, June 16 and 17, look for authors from the Society of Children’s Book Writers and Illustrators in the grey tent in front of the cafeteria. They will be selling and signing their brand new chidren’s books, with a portion of sales going to support Friends of the Library of Hawai‘i. Mahalo nui loa to the Hawai‘i State Federal Credit Union, our title sponsor, as well as to our other valued sponsors who include, Pension Services Corporation, Hawai‘i, Renée B. Fisher Foundation, Rezents & Crowley, LLP, Safeway, Foodland, Hawai‘i Foodservice Alliance, Whole Foods Market, Honolulu, and Zippy’s. FLH Membership - Become a member or renew your membership now to get in without delay! You may also renew or join at the door. Mahalo for your Support! HSFCU Membership - Visit the Hawai‘i State Federal Credit Union website to learn more. FLH members may now join Hawai‘i State FCU! Click the link below to choose the days and shifts that you would like to volunteer. Come to training day on June 2nd from 8-9 a.m. at 1041 Koko Head Ave. to pick up your volunteer t-shirt! * Cashiers, please contact the FLH office at 536.4174 to sign-up. Mahalo! Are you a teacher at the McKinley or Farrington Complex Schools? If so, you are eligible for Books For Teachers 2018. A program of Friends of the Library of Hawai‘i, funded by The Renée B. Fisher Foundation. Please follow the link above to apply for a Voucher for use at the 71st Annual Book Sale. Due to the limited availability of funds, the first 5 teachers per school will receive a voucher. All others will be wait-listed and given out on a "first come, first served" basis. Deadline to apply is June 3rd! ** The form is password protected. Please obtain the password from your school Principal. More info to come . . .